The majority of mattresses need to be turned regularly (between 6-12 weeks). If you live on your own you may prefer one of the foam/latex mattresses that don’t need turning. The mattress should support the weight of the body without sagging, but needs to be firm enough to allow shifts of posture. This is necessary to relieve the prolonged stress on soft tissues in your back. The mattress needs to be comfortable to lie on and soft enough, with sufficient ‘give’ to support and cushion the body’s bony curves (for example like that provided by a ‘pocket sprung’ mattress). It also needs to allow for the easy evaporation of perspiration. A good heavy mattress will need a strong base. It is best to buy the base and mattress together, but if buying these items separately, seek advice from the sales representative that they would make a suitable combination, and get this in writing. The bed itself should represent good value for money. Cost considerations are understandable but the lowest priced bed will not last as long. A standard double bed is 4 feet 6 inches wide but a standard single bed is 3 feet! It is therefore evident that a large double makes more sense for two to sleep in. If you and your partner are of different weights consider a zip and link bed, with separate mattress types on either side. Water beds are a matter of taste. Manufacturers claim that they support the body without distorting the spine and will last for many years. These beds apparently have no pressure point areas (so they are comfortable). Although popular, some people find them very difficult to relax in, so try one before you pay in full. Remember there is no absolute best choice of bed. Be satisfied it is right for you before you buy because it may be difficult to change it afterwards for purely comfort reasons. Don’t be embarrassed to lie on the bed for twenty minutes or so in the shop – it’s not as long as you’ll spend on it each night! Also remember that the word orthopaedic is really meaningless, though it generally implies firm. 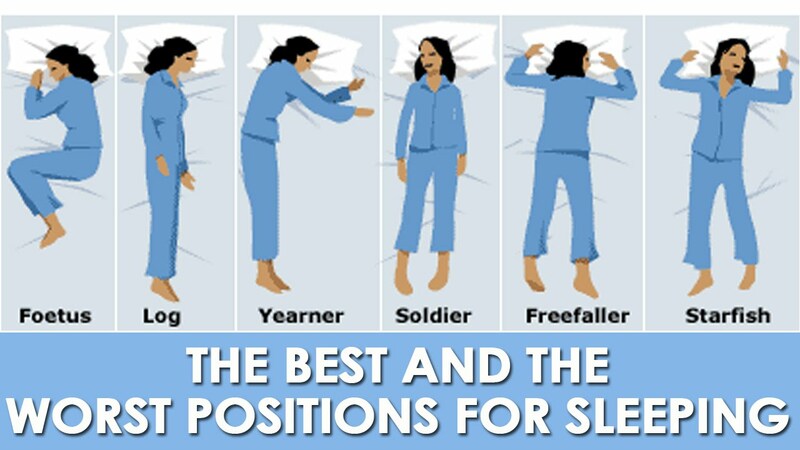 Which Sleeping position are you? Place ONE pillow between your knees preventing the top leg from twisting the pelvis and lower back area. Use ONE pillow under your head, ensuring that your head is not too low or too high. Place ONE pillow under your knees to support your lower back and ONE pillow under your head. Due to the spine being positioned towards the back of the torso, the lower back has little support, creating a sagging bridge effect, increasing the risk of aggravating/developing lower back pain. Also in this position, the head is maximally turned towards one side or the other, which can result in neck pain, numbness/tingling in the arms, and headaches. The other essential ingredient for successful sleep is the pillow. 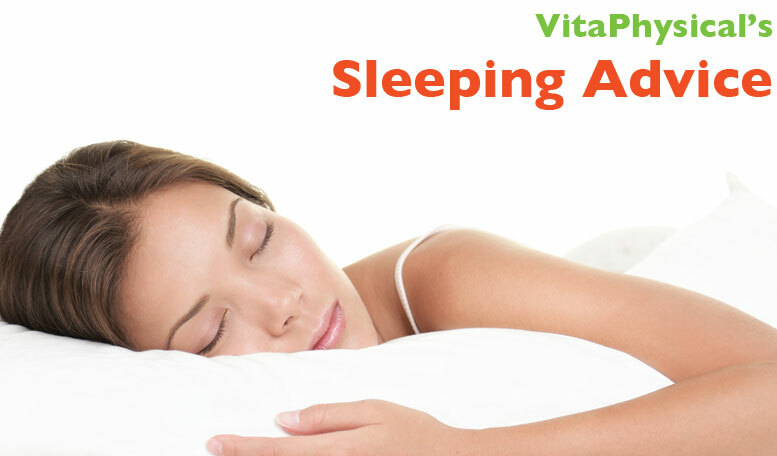 The aim of your pillow is to support your neck in the ideal position. If you stand with your back to a wall you will notice that your neck doesn’t touch it. This is the gap that needs to be ‘filled’ by the pillow. If your pillow is too big, your head is tilted up putting a strain on your neck joints. One pillow is better than two as it will stay in the proper position pulled down to your shoulder. Sleeping with no pillow is not good for you and can cause neck problems. Some people prefer to sleep on their front which is worst of all because the neck is twisted unnaturally. A good pillow can help break this habit. Buy one from a reputable company as the cheap ones don’t last. If you continue to experience pain and discomfort at night or have difficulty falling asleep, contact your practitioner. Jason our Osteopath is trained to treat spinal problems that can interfere with a restful night’s sleep. Jason can also offer additional nutritional and ergonomic advice that can help improve the quality of your sleep.